Richard Crow lives and works in London. His work as an inter-disciplinary artist transverses multi-media platforms including sound, experimental film and video, installation, and live performance. Crow has an MA in Sonic Arts from Middlesex University (2006). Crow manifests sound and noise for its disruptive, visceral and affective qualities and its psycho-physical implications for the listener. His solo and collaborative performances have consisted of highly conceptualized interventions into base materiality, investigations of alternative systems of organisation and research into a certain material decadence, most notably with the cult project The Institution of Rot. As both a visual and performing artist he has exhibited, performed and presented his work internationally including giving lectures and talks in numerous academic contexts. As an educator he has have been running workshops on sound and performance, teaching both graduate and postgraduate students how voice and language can be used in text based performance, music improvisation and sound recordings. His workshops are often based on reading texts and creating sound compositions and sonic interventions inspired by or activated directly from them. He has been omnipresent in the experimental art/music/noise scene in London and elsewhere since the mid 1980s. 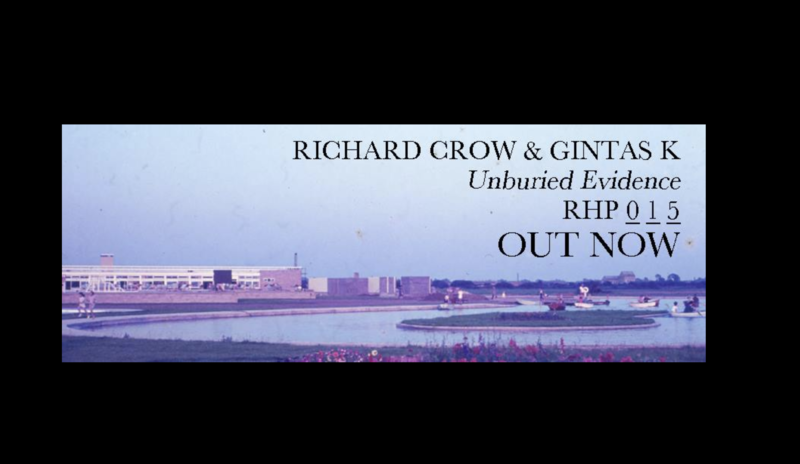 Crow has collaborated, performed, and recorded with a number of experimental musicians, sound poets and sonic artists including Duncan Jack (What is Oil? ), Joe Banks (as Ashenden), Zan Hoffman, Phill Wachsmann, Adam Bohman (as Diastolic Murmurs), Richard Barrett, Furt, The Elision Ensemble, The Hafler Trio, Clive Graham, Michael Prime, Heimo Lattner, Dean Roberts, Kaffe Matthews, Michael Morley (Gate, The Dead C), Sandoz Lab Technicians, Tanaka-Nixon Meeting, Nigel Bunn, dy’na:mo, e-Xplo, Alessandro Bosetti, Dmitri Prigov, KREV (The Kingdoms of Elgaland Vargaland), Esther Planas, Gabriel Séverin, Gintas K, The Bohman Brothers, Richard Thomas, Aleksander Kolkowski, Nicola Woodham, Chandor Gloomy, John Wall and Luke Jordan. He has exhibited and performed internationally and published many sound works since 1984 on his own imprint Institution of Rot, as well as labels such as ZH27, Shelf Life, Vintage Productions, Paradigm Discs, Durian Records, Touch, Chocolate Monk, [RHP] CDRs, EAM, COMA †‡† KULTUR, Musica Dispersa Records, My Dance the Skull (forthcoming), Firework Edition (forthcoming), Nostalgie De La Boue (forthcoming). His work has been broadcast by Radio Panik, Brussels, Touch Radio – London, ABC Classic FM – Australia, Radio Arte Mobile – Rome, Radio Corax – Halle, Resonance FM – London, Kunstradio – Vienna, among others.